The battle between opposite forces exists in everything. This is the classic left v right within every society. This manifests in where does the confidence of the people reside for the majority – within government or the private sector. We are in a 309.6 year Public Wave that ends in 2032.95. This force actually oscillates back and forth in 8.6 year intervals. 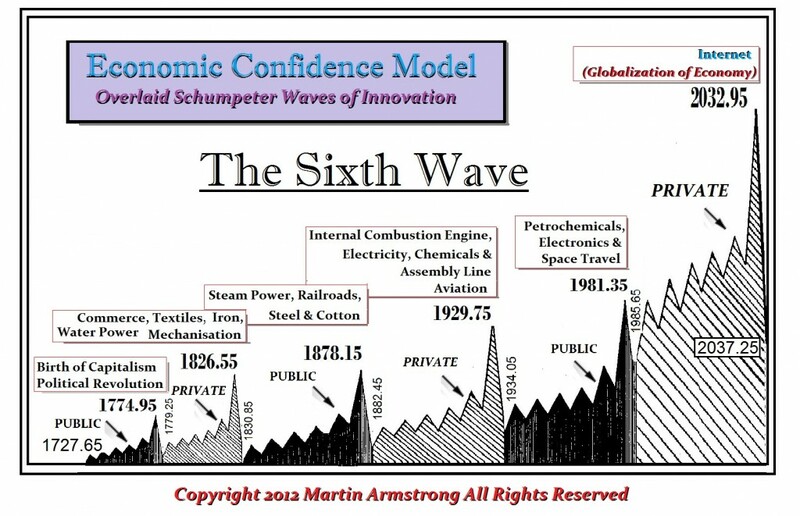 But the overall wave structure is a public wave while the current 51.6 year wave is Private. This builds up into a major crisis and why I have been so concerned about the future. Here are the major turning points in these major waves of 309.6 year intervals. The seriousness of this series of dates illustrates the problem. 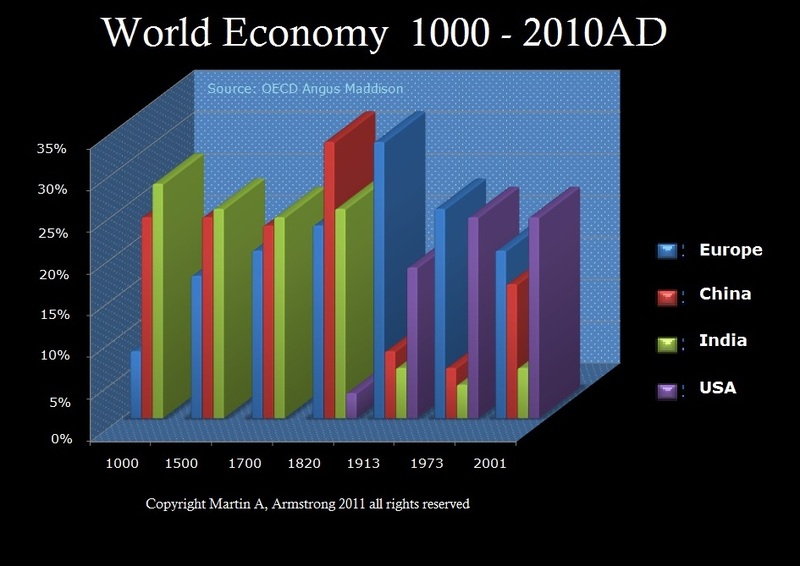 This pinpoints the peak in the Roman Economy during the reign of Marcus Aurelius who died in 180 AD an the next target marks the end of the Roman Empire that formally falls in 476AD with the last real emperor. However, then the barbarians assume the throne for a brief period of time. They issued coins that appeared to be Roman in appearance. Effectively, at the end, the barbarians wanted to be Romans where as the Vandals just stripped even the copper from the roofs of temples in Rome. Even global warming follows this model of 309.6 years for the energy output of the sun fluctuates in about 300 year cycles that have been determined from the study of ice core samples from the North Pole known as solar variation. Hence, we are in this final warming phase and then we will turn back to extreme cold weather rather rapidly the same as a market crash. At the start of a 309.6 year cycle, the weather collapses into cold. 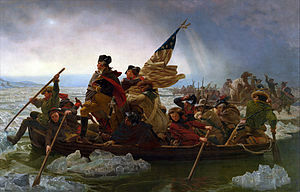 Here is a picture of Washington crossing the Delaware River by Philadelphia with huge chunks of ice. I have NEVER seen such ice in that river in my life-time. The sun is simply a thermodynamic system that beats like your heart – it is just physics. Cars did not come into any real use until the 1940s. We are moving into the high on this cycle in 2032 in many ways. What comes after 2032.95 will be a major change in climate and politics. This is why I warn we can go toward freedom or toward authoritarianism and this shift will be rather abrupt. This will be like the fall of Rome and the financial capital of the world will shift from the USA to Asia. What we are left with at the end of the day will be critical. We learn from the past in hard-sciences (technology) but in social science, personal self-interest dominates our views and prejudices moving forward. This trend of shifting confidence is like politics – no one party wins all the time. We swing back and forth like in a sports game. The Huffington Post reported about a study, conducted by EMC Research that was composed of three in-depth surveys in late 2013, one by telephone and two on the Internet. The historical trends on dissatisfaction and alienation were confirmed by this study as it shows the American public is becoming increasingly distrustful of the government over the past several decades.